YOUR MOST IMPORTANT CALL – CELL PHONE RADIATION SAFETY! Research has proven how cell phone radiation damages DNA in a two-stage process involving ROS (Reactive Oxygen Species). DNA damage was previously shown by Dr. Henry Lai with proof of DNA single and double strand breaks at levels below currently accepted safe FCC exposure levels, however, the mechanism was not discovered until now. These most recent studies have shown us that the debate about cell phone radiation being hazardous or not is over, and it is time to create a cell phone radiation policy that will address these issues as bio-effects have been observed at a rate of 92 percent in 80 peer-reviewed studies. Therefore, it is important for governments of different countries to come together to create legislation that will limit cell phone radiation. Governments must demand mandates for a reduction in radiation levels by forcing cell phone manufacturers and service providers to use different antenna technologies than the existing ones used today. RF Safe has a focus that supports forward progress of the wireless industry and governmental agencies in standardization for safer cell phones with a goal of accelerating the pace that cell phone users are properly informed and able to attain safer wireless technologies “at the point of sale”. As it stands today, it’s a jungle out there. The dividing line between truth, fiction, what will protect you, and what won’t has never been less clearly defined. Since the advent of the digital information explosion, the sea of information has been growing at a pace that few can follow. However, if we are to be responsible and seek the truth, we must persevere, for the sake of our children today and future generations whose lives may depend on it. RF Safe is dedicated to the truth and providing ONLY the best RF safety solutions. Cell Phone Radiation Warning Prevails In Appeals Court! On 4-21-2017 a Ninth Circuit panel refused to overturn a ruling and upholds a Berkeley, California, law that forces retailers to warn consumers about the potential health risks of cell phones in a 2-1 decision. Since May of 2011, the IARC classification for cell phone radiation internationally has been officially documented as a Class 2B Carcinogen. The city Berkeley being an exception, the public isn’t being properly informed on sage cell phone usage and the potential health effects of cell phone radiation. Once you have taken into consideration that EVERY SINGLE one of the world’s largest studies HAVE concluded Smartphones sold as “safe” under current FCC’s SAR regulatory guidelines — may-not provide any degree of safety whatsoever! The Interphone, Hardell, CERENAT and the recently concluded U.S Government studies have all pointed towards a common risk of increased brain cancer! In May 2016, the 25 million dollar study by U.S. National Toxicology Program (NTP) announced that male rats exposed to cell phone radiation over a 2 year period developed higher rates of cancer. The NTP study is the world’s longest planned and carefully done cell phone cancer study to date. Intrinsically today’s wireless technology possess a major health concern because of outdated antenna technology that allows for excess RF exposure, along with the adoption of ever changing microwave frequency modulations that are completely untested for biological health effects as each generation wireless network surpasses the next. It only requires a little research to make it very clear why RF Safe offer’s several ways to reduce cell phone radiation for most wireless usage scenarios. Everyone knows that operating a motor vehicle safely requires more than just fastening a seat belt; it entails many safety precautions. What is not commonly known is how important safe cell phone usage is, and how it also requires a system of precautions. 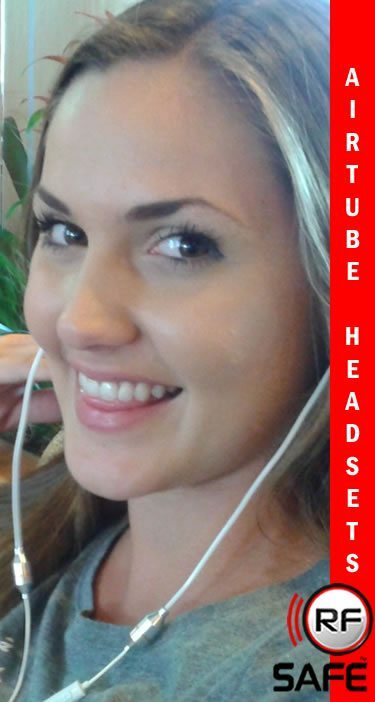 Each of the cell phone radiation safety accessories suggested by Dr. Sanjay Gupta on Anderson Cooper in this video play a very important role in safe cell phone usage. Understanding when and how to use them all is very important. 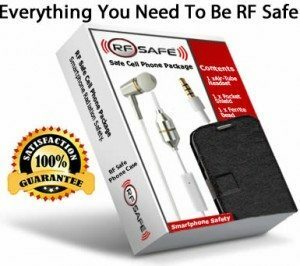 In RF Safe’s SCP (Safe Cell Phone) Accessory Packages only scientifically proven ways to reduce radiation exposure are used to protect you and your loved-ones from increased risk when using wireless products. RF SAFE is a world-leading provider of cell phone radiation protection accessories and informational safety data. Since 1998 RF (Radio Frequency) Safe has been dedicated to evolving the wireless industries safety standards, by engaging in the business of design, testing, manufacture, and sale of safety technologies to mitigate harmful effects of cell phone radiation. New Research Finds If Smartphones Were Radiation Tested How They’re Used, They’d Be Illegal!